A new application of The Tactigon, this time combined with Raspberry Pi to achieve a futuristic lighting control. 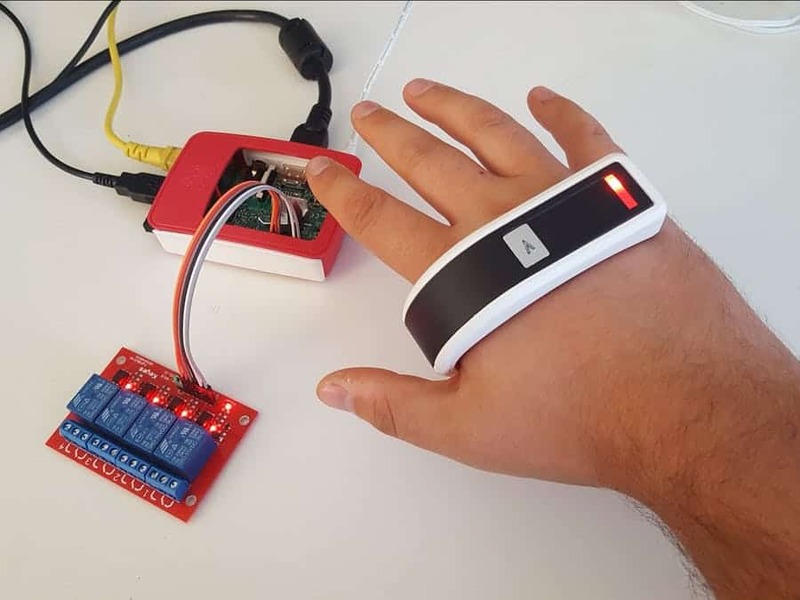 The Tactigon is a board for wearable applications prototyping, able to recognize gestures and different kind of movements, thanks to the firmware availability and simple programming which are typical of the Arduino environment. Now you can see it in another capacity by combining it with Raspberry Pi board in a project born from the need of lights controlling in an environment. For this domotic application we relied on the excellent performance of the “Raspberry” board. It’s used to interact with the intelligent board The Tactigon, in order to control the lights in our office with a few simple gestures. The connection between the two units is done via Bluetooth Low Energy radio protocol. It’s made possible by the integrated radio chip in both devices and to The Tactigon libraries developed by Next Industries. Finally, in the Raspberry Pi 3 we used BlueZ, with enabled experimental featured, in order to use Bluetooth Low Energy, as well as bluepy library for Python.